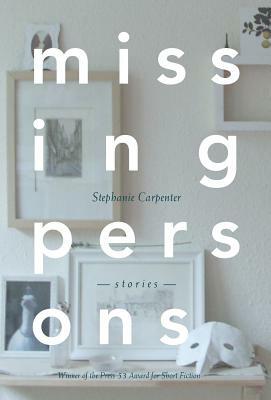 Missing Persons is the winner of the 2017 Press 53 Prize in Short Fiction. Employing a dazzling range of styles and subject matters, the collection's ten stories offer glimpses into the lives of ordinary people facing out-of-the-ordinary problems. A street sweeper sends coded messages that a young couple is compelled to decipher. A woman becomes smitten with a living statue. A divorced dad finds himself with an unwanted house guest, after his online date goes wrong. Including speculative, historical, contemporary, and flash pieces, the collection grapples in surprising and illuminating ways with themes of disappearance and loss.